Match ends, FC Augsburg 0, Hertha Berlin 0. Second Half ends, FC Augsburg 0, Hertha Berlin 0. Attempt blocked. Philipp Max (FC Augsburg) left footed shot from outside the box is blocked. Assisted by Jan Morávek with a headed pass. Foul by Genki Haraguchi (Hertha Berlin). Corner, Hertha Berlin. Conceded by Paul Verhaegh. Sebastian Langkamp (Hertha Berlin) wins a free kick in the defensive half. Dong-Won Ji (FC Augsburg) is shown the yellow card for a bad foul. Vedad Ibisevic (Hertha Berlin) is shown the yellow card for a bad foul. Attempt saved. Dong-Won Ji (FC Augsburg) header from the centre of the box is saved in the top centre of the goal. Assisted by Paul Verhaegh with a cross. Substitution, FC Augsburg. Jan Morávek replaces Halil Altintop. Attempt missed. Niklas Stark (Hertha Berlin) right footed shot from the centre of the box is close, but misses to the left. Assisted by Marvin Plattenhardt with a cross following a set piece situation. Peter Pekarík (Hertha Berlin) wins a free kick on the right wing. John Brooks (Hertha Berlin) wins a free kick in the defensive half. Attempt saved. Valentin Stocker (Hertha Berlin) header from the centre of the box is saved in the centre of the goal. Valentin Stocker (Hertha Berlin) wins a free kick on the left wing. Attempt missed. Julian Schieber (Hertha Berlin) header from the centre of the box misses to the left. Assisted by Vedad Ibisevic with a cross. Offside, FC Augsburg. Konstantinos Stafylidis tries a through ball, but Daniel Baier is caught offside. Substitution, FC Augsburg. Gojko Kacar replaces Martin Hinteregger because of an injury. Foul by Valentin Stocker (Hertha Berlin). Daniel Baier (FC Augsburg) is shown the yellow card. Delay in match Vedad Ibisevic (Hertha Berlin) because of an injury. Substitution, FC Augsburg. Georg Teigl replaces Jonathan Schmid. Attempt saved. Julian Schieber (Hertha Berlin) left footed shot from the left side of the box is saved in the centre of the goal. Assisted by Niklas Stark. Attempt saved. Valentin Stocker (Hertha Berlin) left footed shot from the left side of the box is saved in the centre of the goal. Assisted by Julian Schieber. Genki Haraguchi (Hertha Berlin) wins a free kick in the defensive half. Hand ball by Genki Haraguchi (Hertha Berlin). Attempt missed. Niklas Stark (Hertha Berlin) header from the centre of the box is high and wide to the left. Assisted by Valentin Stocker with a cross following a corner. Substitution, Hertha Berlin. Julian Schieber replaces Salomon Kalou. 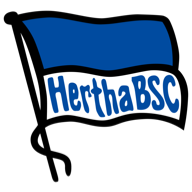 Substitution, Hertha Berlin. Genki Haraguchi replaces Alexander Esswein. Attempt saved. Daniel Baier (FC Augsburg) right footed shot from outside the box is saved in the top right corner. Assisted by Jonathan Schmid. Attempt missed. Konstantinos Stafylidis (FC Augsburg) left footed shot from outside the box is just a bit too high following a corner. Corner, FC Augsburg. Conceded by Vedad Ibisevic. Attempt missed. Martin Hinteregger (FC Augsburg) header from the centre of the box misses to the left. Assisted by Jonathan Schmid with a cross following a set piece situation. Paul Verhaegh (FC Augsburg) wins a free kick on the right wing. Attempt blocked. Vedad Ibisevic (Hertha Berlin) header from the centre of the box is blocked. Assisted by Alexander Esswein with a cross. Halil Altintop (FC Augsburg) wins a free kick on the left wing. Second Half begins FC Augsburg 0, Hertha Berlin 0. First Half ends, FC Augsburg 0, Hertha Berlin 0. Corner, FC Augsburg. Conceded by Sebastian Langkamp. Attempt blocked. Dominik Kohr (FC Augsburg) right footed shot from outside the box is blocked. Assisted by Halil Altintop. Foul by Alexander Esswein (Hertha Berlin). Halil Altintop (FC Augsburg) wins a free kick in the defensive half. Attempt blocked. Alexander Esswein (Hertha Berlin) left footed shot from outside the box is blocked. Christoph Janker (FC Augsburg) wins a free kick in the defensive half. Offside, FC Augsburg. Halil Altintop tries a through ball, but Philipp Max is caught offside. Corner, FC Augsburg. Conceded by John Brooks. Attempt saved. Martin Hinteregger (FC Augsburg) left footed shot from very close range is saved in the centre of the goal. Assisted by Dong-Won Ji. Attempt missed. Dong-Won Ji (FC Augsburg) header from the centre of the box misses to the right. Assisted by Philipp Max with a cross following a fast break. 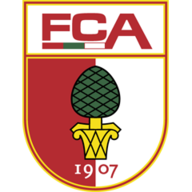 Dominik Kohr (FC Augsburg) is shown the yellow card. Alexander Esswein (Hertha Berlin) wins a free kick in the attacking half. Attempt missed. Martin Hinteregger (FC Augsburg) header from the centre of the box is high and wide to the left. Assisted by Konstantinos Stafylidis with a cross following a corner. Delay in match Per Skjelbred (Hertha Berlin) because of an injury. Corner, FC Augsburg. Conceded by Per Skjelbred. Attempt missed. Alexander Esswein (Hertha Berlin) left footed shot from the centre of the box is close, but misses to the right. Per Skjelbred (Hertha Berlin) wins a free kick on the left wing. Offside, FC Augsburg. Paul Verhaegh tries a through ball, but Dong-Won Ji is caught offside. Corner, Hertha Berlin. Conceded by Marwin Hitz. Attempt saved. Alexander Esswein (Hertha Berlin) right footed shot from the right side of the box is saved in the top centre of the goal. Foul by Christoph Janker (FC Augsburg).